The Starter Kit includes all the essential products needed for the cleansing and beautification process. Packaged in a shimmering Gingham bag, The Starter Kit contents include: 2oz bottle of solution ½ oz jar of application powder A jar of dry non-woven application pads. Eye Envy is the ultimate in tear stain removal systems. Externally applied, this safe, non-irritating and effective cleanser removes unsightly stains and inhibits dark staining production. 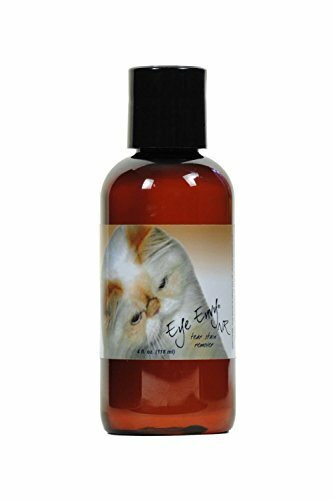 Eye Envy is available in both the Original and Non-Refrigerated (NR) Versions, and is safe to use on kittens. This safe and reliable formula may also be applied to your pet to eliminate most feet and mouth/beard stains. Original Formula: The original formula must be refrigerated and will last between 2-3 months NR Formula: Just as effective as the Original formula but does not need to be refrigerated. Eye Envy Solutions are Natural and does not contain Preservatives. Note: When initially removing stains, it is strongly recommended to use BOTH Eye Envy Solution and powder. Together, you will receive the maximum results. The Original solution requires refrigeration. Eye Envy does not contain any bleach, peroxide, steroids or other harmful agents and is topically applied. Once the Original or NR Solution is poured into the Pad Jar, it must be refridgerated as it does not contain preservatives. Eye Envy Non-Refrigerated (NR) Solution for Cats. Left untreated, eye tearing can lead to itchy irritation or even infection. 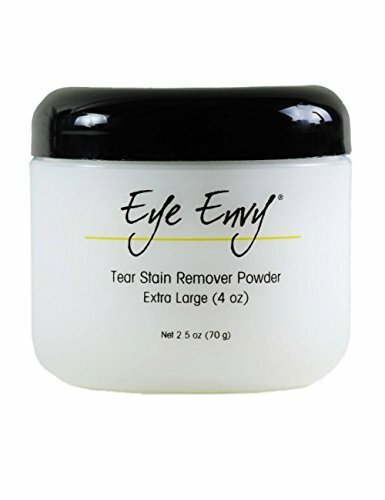 Eye Envy Tear Stain Remover erases unsightly stains and inhibits new stains. Made in the USA; Eye Envy is formulated with simple yet effective, natural and human grade ingredients to battle the source of tear staining. 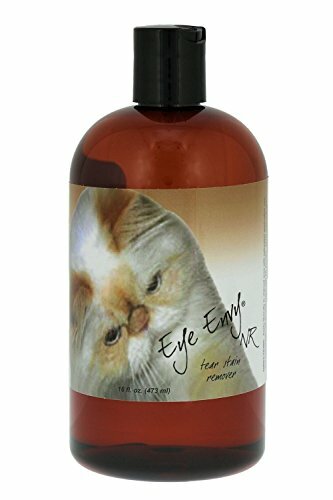 Eye Envy solution is non-irritating, easy to use, and TOPICAL; it is NOT ingested by your pet and is safe enough to use on kittens! This NR (non-refrigeration) tear stain remover does not have to be refrigerated. 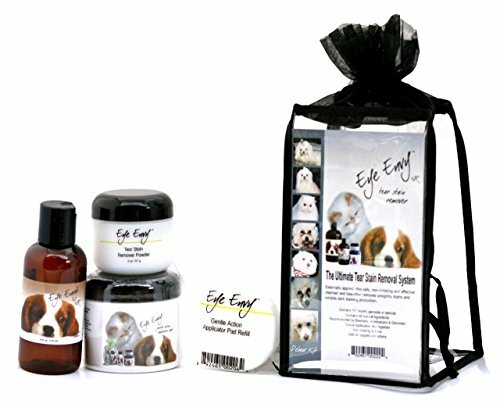 There is also an Eye Envy solution available for dogs and puppies over 8 weeks old! For best results, use Eye Envy Application Powder as a 2nd step when initially removing stains. It is recommended to use both the Eye Envy Solution and the Eye Envy powder. A simple, safe and effective solution to end the fight with unsightly and unhealthy tear stains! Eye Envy's tear stain removal system was designed to clean stains and prevent future ones by addressing the root of the problem. 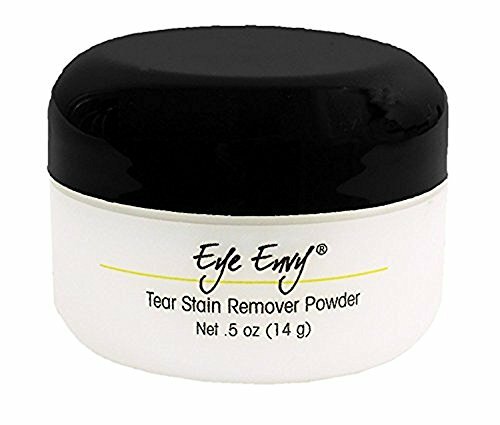 Eye Envy Tear Stain Remover Powder for Dogs and Cats is the second step in the tear stain removal process. The application powder is strongly recommended to use as an enhancer within the tear stain removal system. 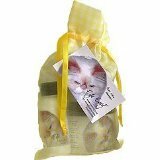 Eye Envy Remover Powder is made of a drying agent and a natural antibacterial, and is safe enough for puppies and kittens over 7 weeks of age. 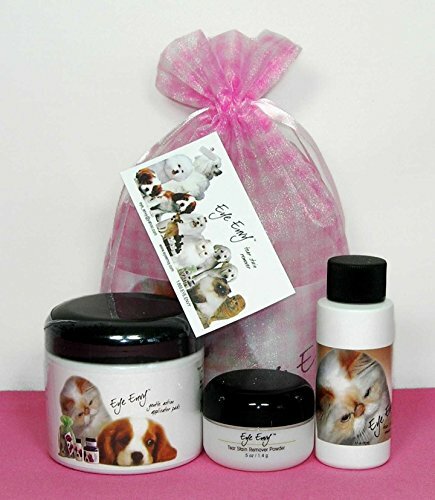 It's great for your Maltese, Persian, Shih Tzu, Himalayan, Havanese, Poodle, or other light/white colored furry friend and is used widely by grooming and dog show professional. 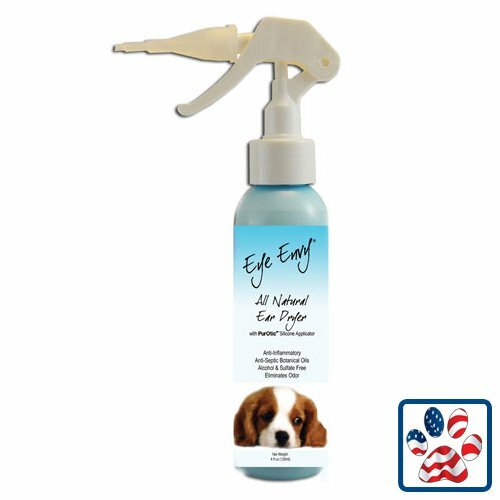 Eye Envy, founded in 2001 in Torrance, California, is world famous for its safe and all natural tear stain remover for dogs and cats. In the early days, the product became popular among cat breeders looking to remove tear stains from their show cats, but soon thereafter its effectiveness was also discovered by the dog market. 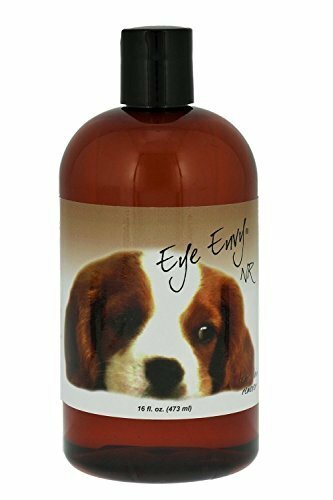 Years later, Eye Envy launched its Non-Refrigerated "NR" version, giving the product a longer shelf life which made it appealing to pet boutiques and the retail market. Since its inception, the company has grown with worldwide distribution and maintained its philosophy of only including the best ingredients in its products. Our All-Natural Tear Stain Remover for Dogs is a topical 2 step process: Step 1) Clean the area with the Solution Step 2) Apply Powder (not included in this order). Our Tear Stain Remover does not contain Tylosin or antibiotics. 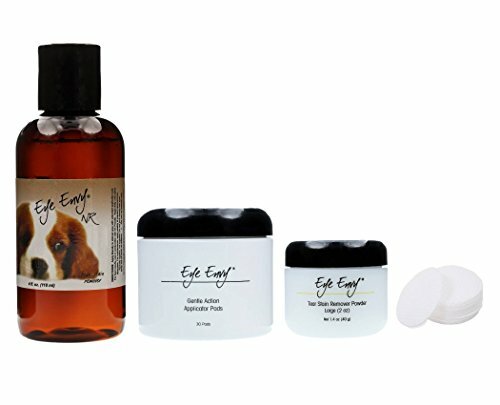 Eye Envy Solutions are natural and do not contain preservatives, bleach, peroxide, steroids, or other harmful agents. It is applied topically and this safe, non-irritating, effective cleanser and beautifier removes unsightly stains and inhibits dark staining production. The Starter Kit includes all the essential products needed for the cleansing and beautification process. Packaged in a shimmering Gingham bag, The Starter Kit contents include: 2oz bottle of solution, ½ oz jar of application powder, A jar of dry non-woven application pads. When initially removing stains, it is strongly recommended to use BOTH Eye Envy Solution and powder. Together, you will receive the maximum results. The Original solution requires refrigeration. Eye Envy does not contain any bleach, peroxide, steroids or other harmful agents and is topically applied. Once the Original or NR Solution is poured into the Pad Jar, it must be refrigerated as it does not contain preservatives. Eye Envy is the ultimate in tear stain removal systems. Externally applied, this safe, non-irritating and effective cleanser and beautifier removes unsightly stains and inhibits dark staining production. The NR Pack includes all the essential products needed for the cleansing and beautification process. Packaged in a beautiful clear vinyl package, the kit contents include: 4oz bottle of solution, 1/2oz jar of powder and a pack of applicator pads. Did you run out of the Eye Envy Gentle Applicatior Pads included in the Starter Kit? These Gentle Applicator Pads are a great value for continuing on with the Eye Envy regimen. Use the pads to easily apply the Eye Envy Liguid Solution. I am so pleased to offer this outstanding product to our shoppers with fur babies suffering with unsightly tear staining problems! Eye Envy is an oustanding solution for tear stains. Now with just a few minutes a day for the first five to seven days...and then just one to two days per week thereafter, you will have your adorable- fur face baby back to his or her kissable self! 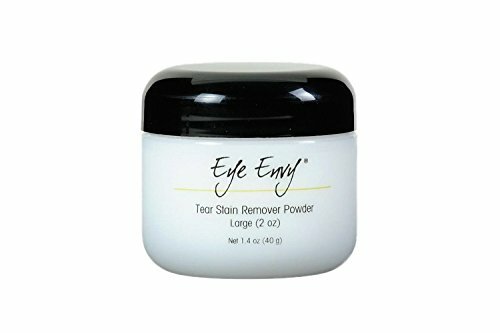 Application of powder is the second step in the Eye Envy tear stain removal process. Eye Envy application powder is externally applied to keep the area dry and repel tears. This is NOT a cover up. Powder contains an additional antibacterial agent to work with the liquid. Aids in controlling dark staining production. Does not contain peroxides, bleach or harsh chemicals. This safe, non-irritating application powder is used widely by grooming and dog show professional. 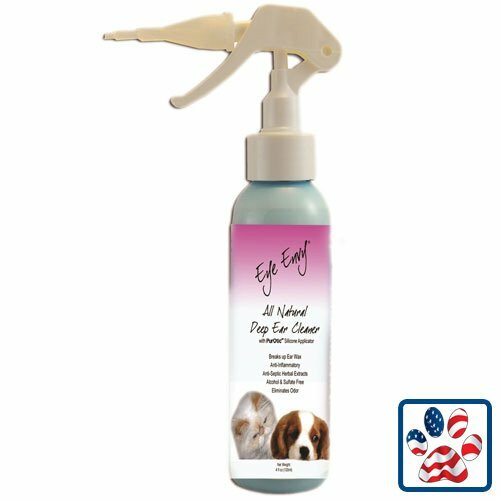 Recommended by veterinarians, groomers, and breeders, Eye Envy NR Tear Stain Remover for Dogs gently and effectively removes unsightly stains and acts as a cleanser, an astringent, and a natural antibacterial to stop tear staining at the source. This Eye Envy NR Powder helps to keep frequently tear-stained areas clean and dry. Great for multiple pet households and includes roughly a 60-day supply. 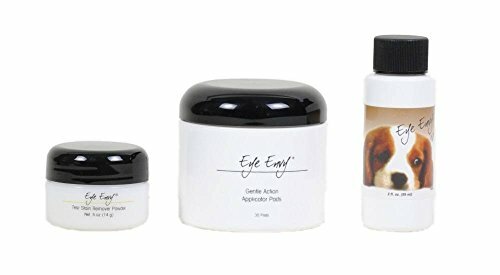 Eye Envy, founded in 2001 in Torrance, California, is world famous for its safe and all natural tear stain remover for dogs and cats. In the early days, the product became popular among cat breeders looking to remove tear stains from their show cats, but soon thereafter its effectiveness was also discovered by the dog market. 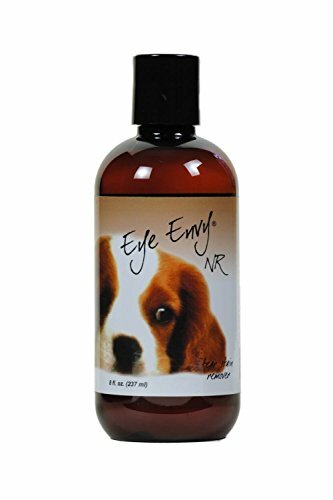 Years later, Eye Envy launched its Non-Refrigerated "NR" version, giving the product a longer shelf life which made it appealing to pet boutiques and the retail market. Since its inception, the company has grown with worldwide distribution and maintained its philosophy of only including the best ingredients in its products.